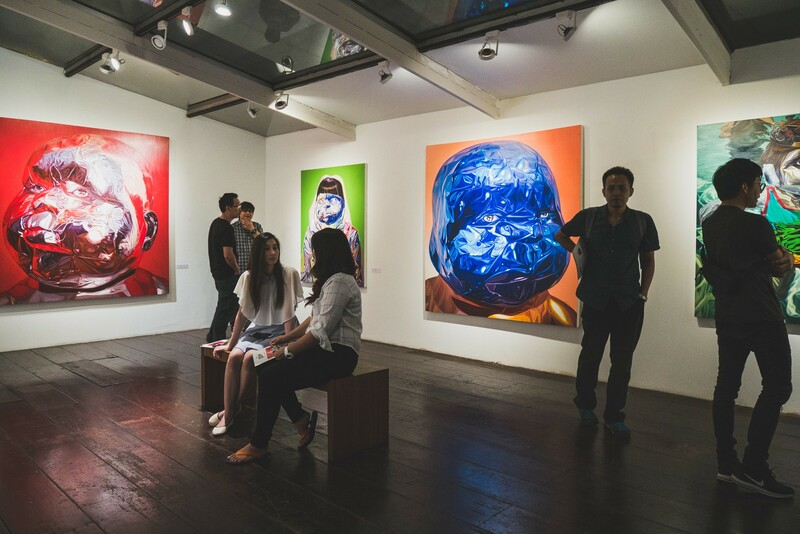 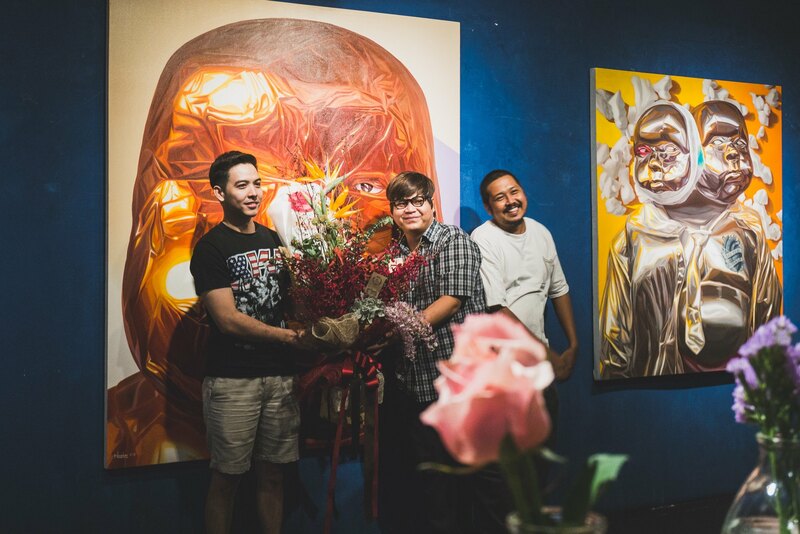 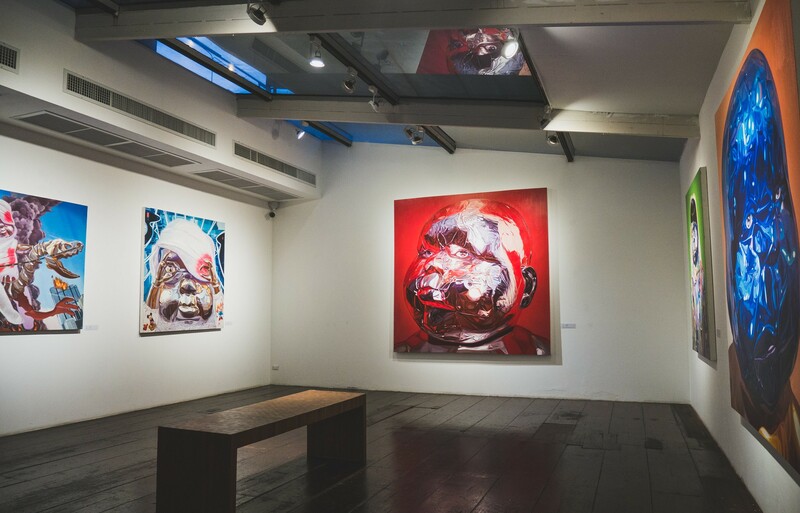 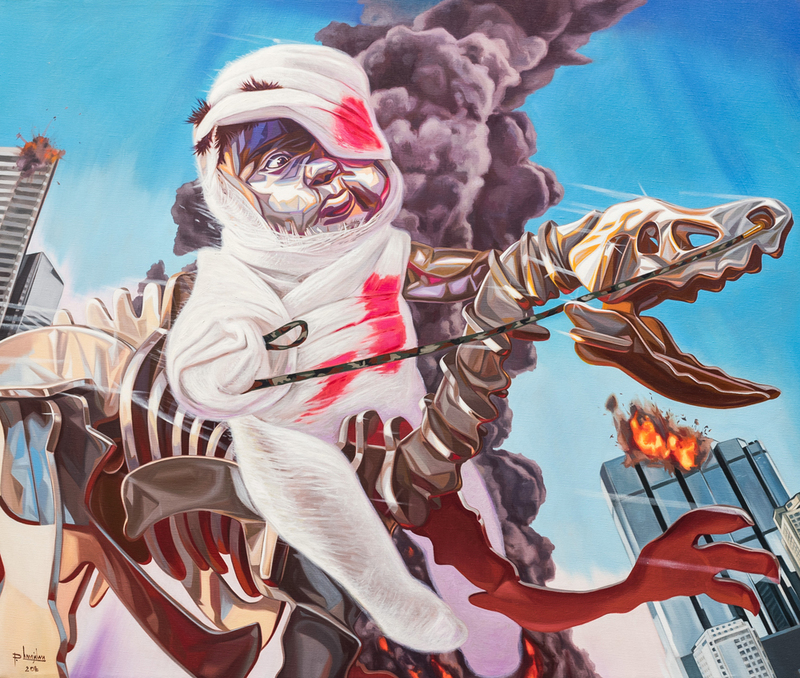 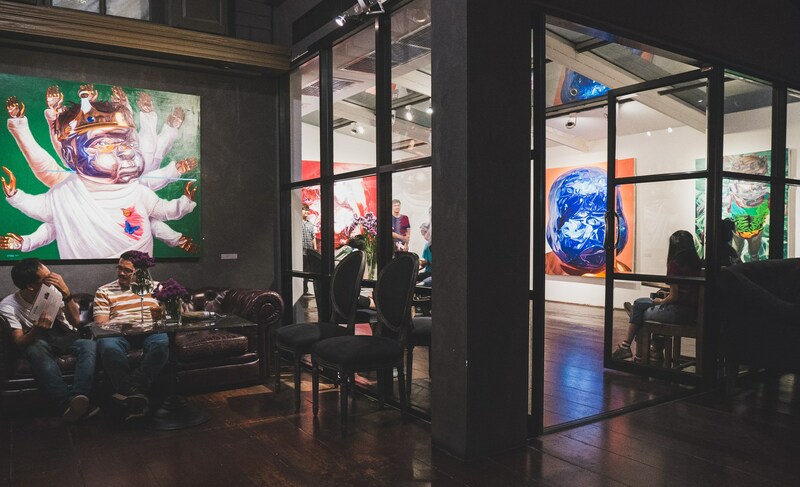 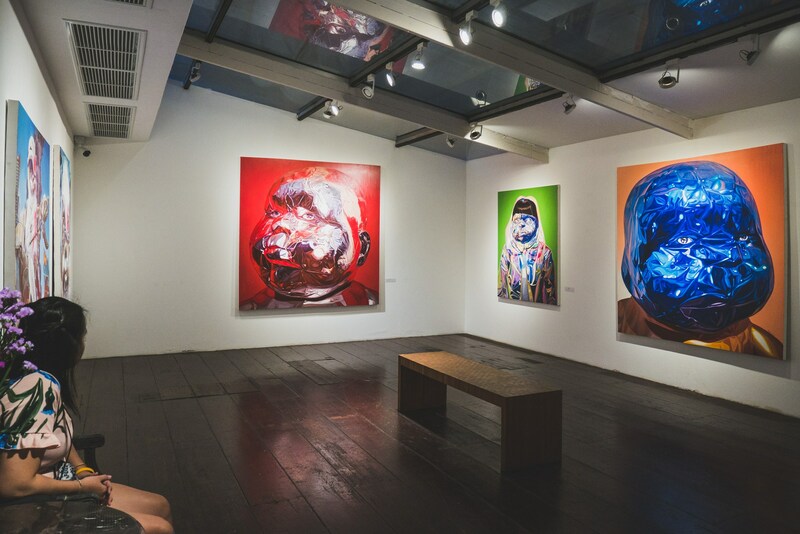 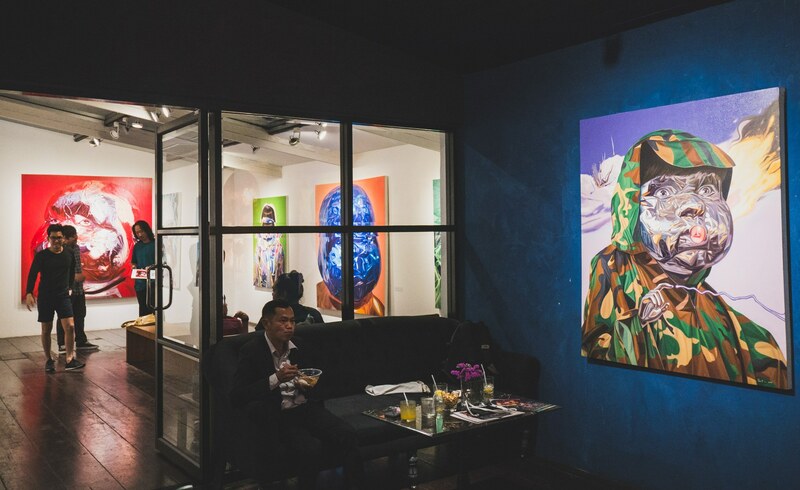 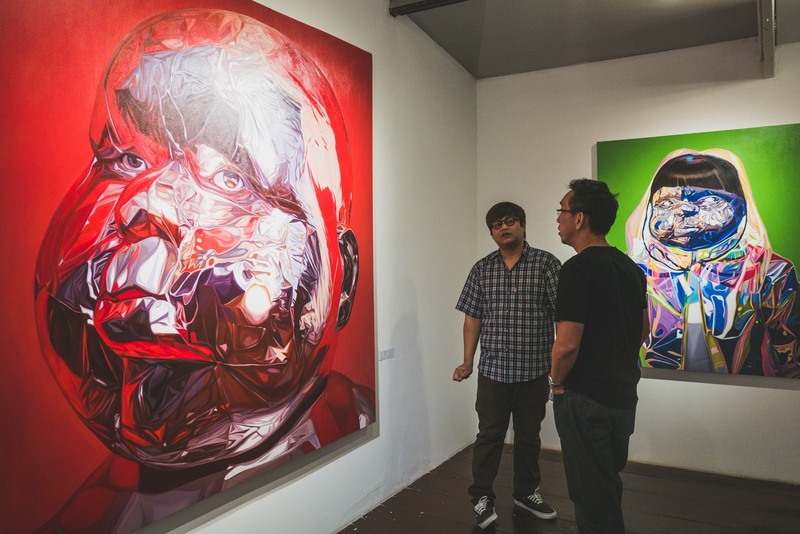 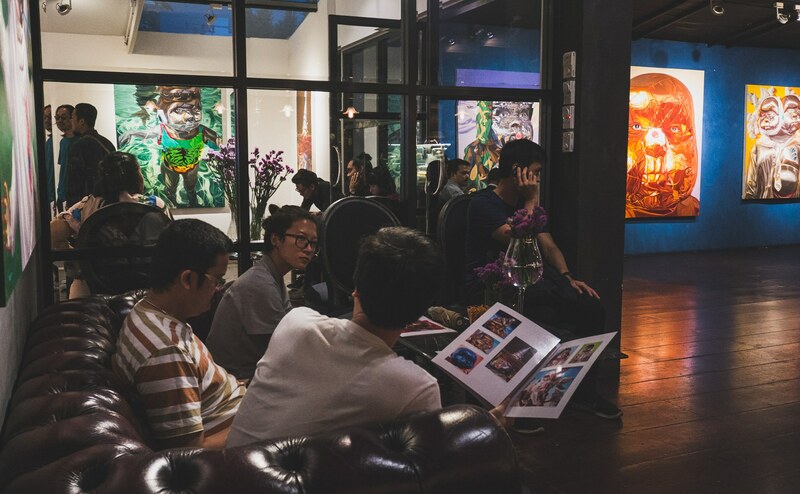 “Sick Boy” is the 3rd solo exhibition by Prawit Lumcharoen. 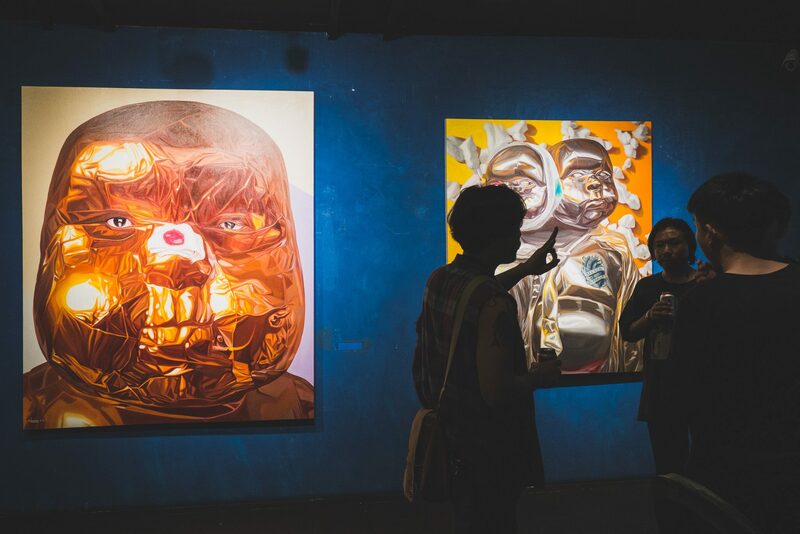 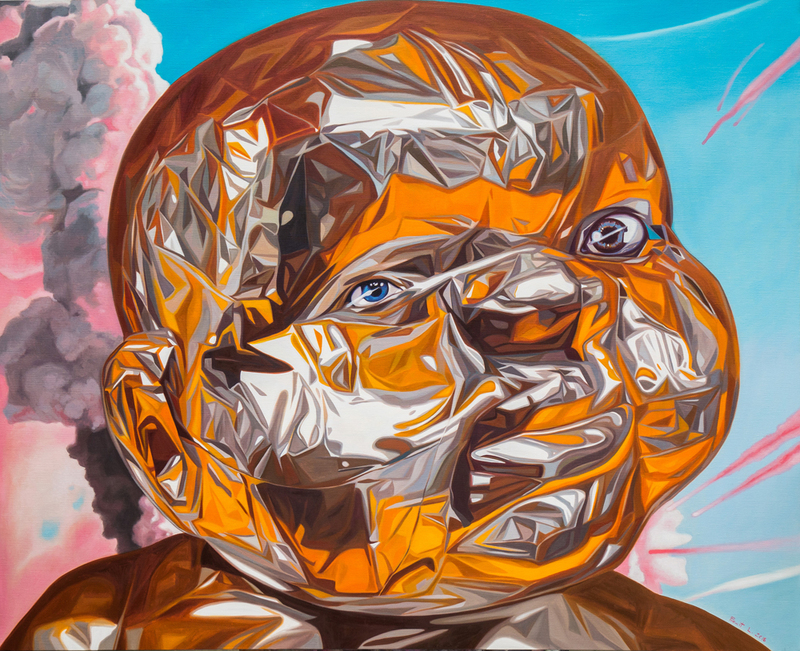 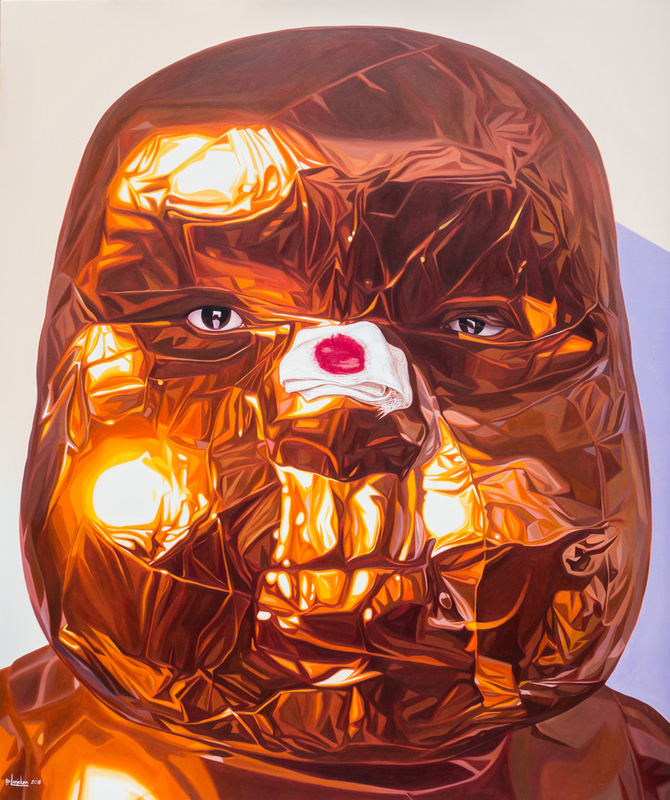 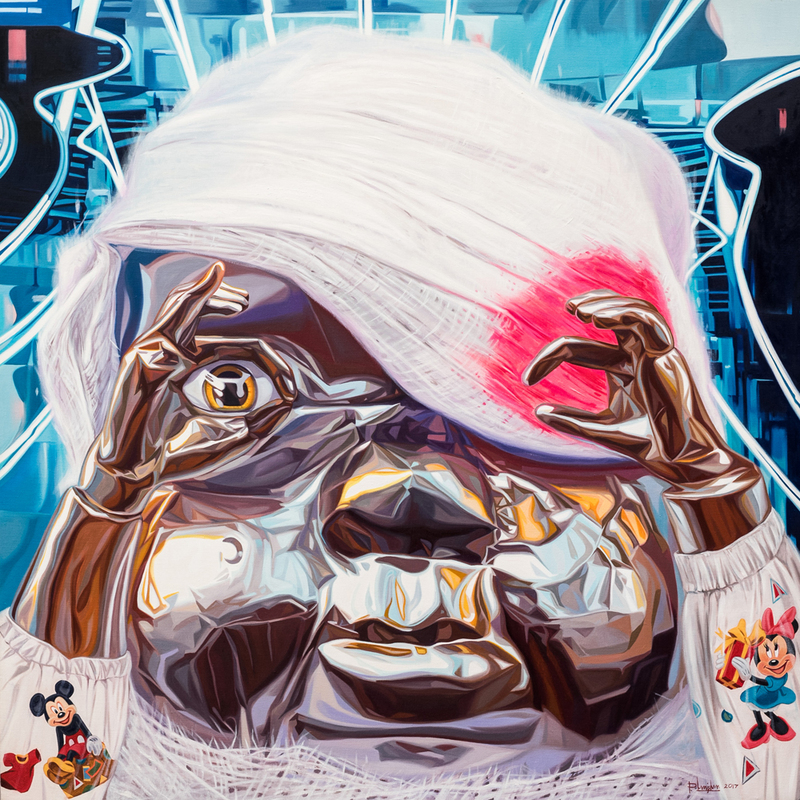 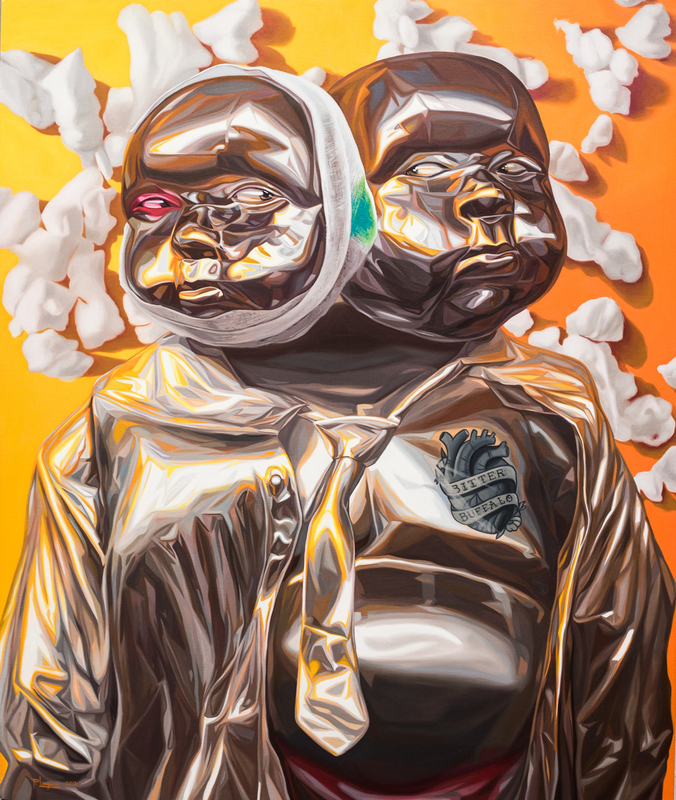 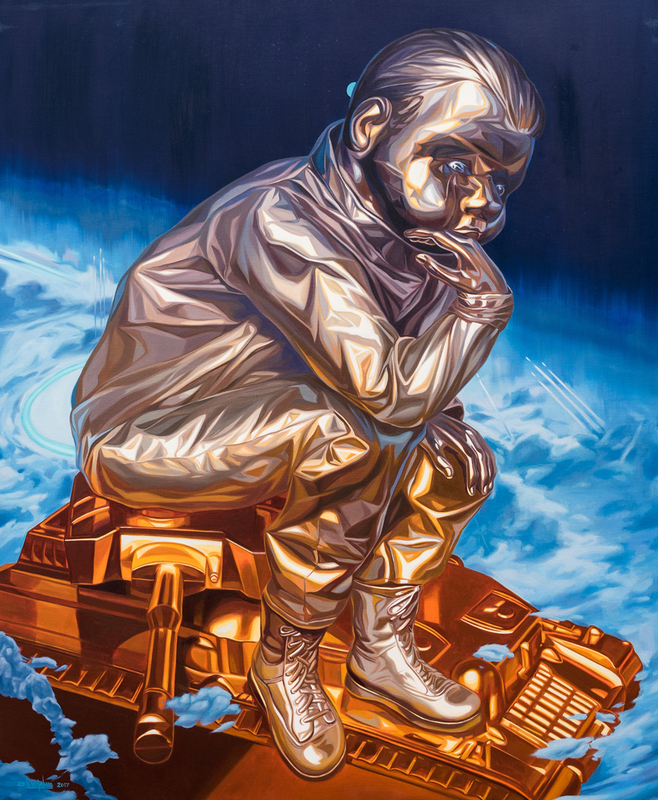 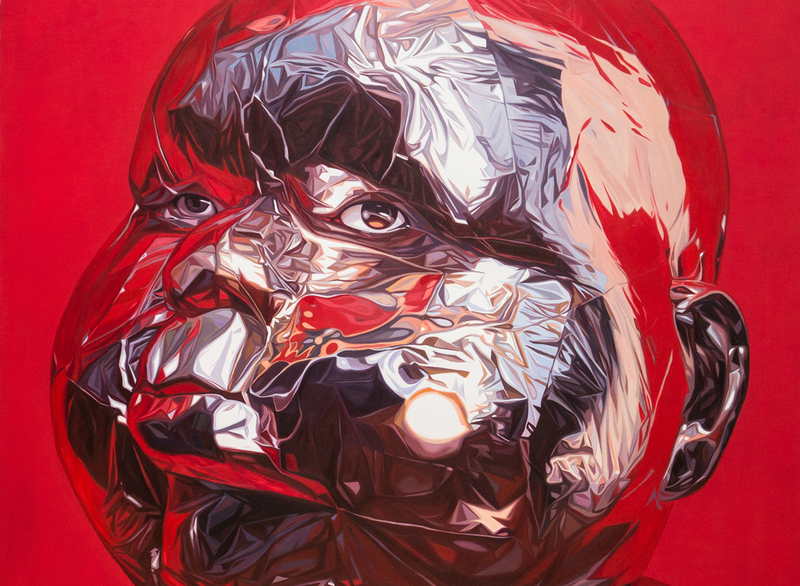 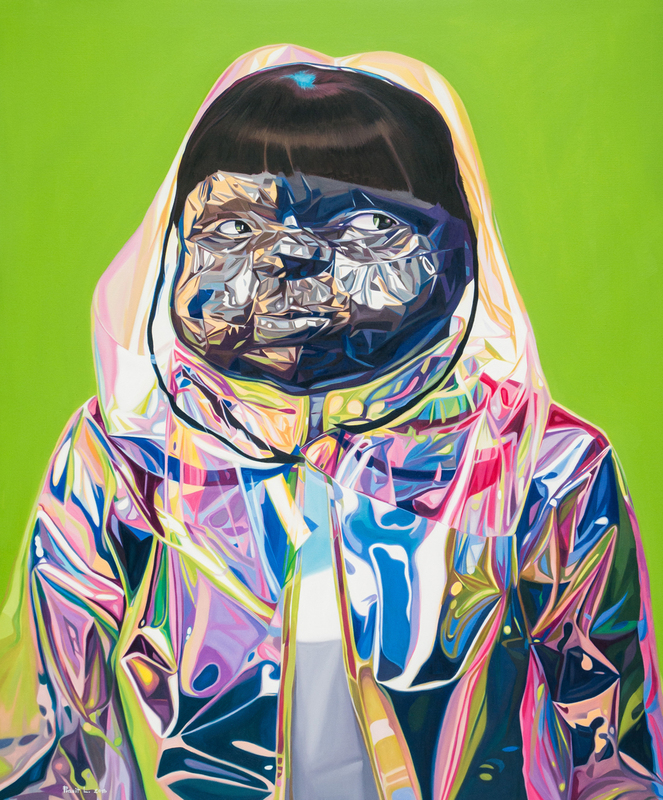 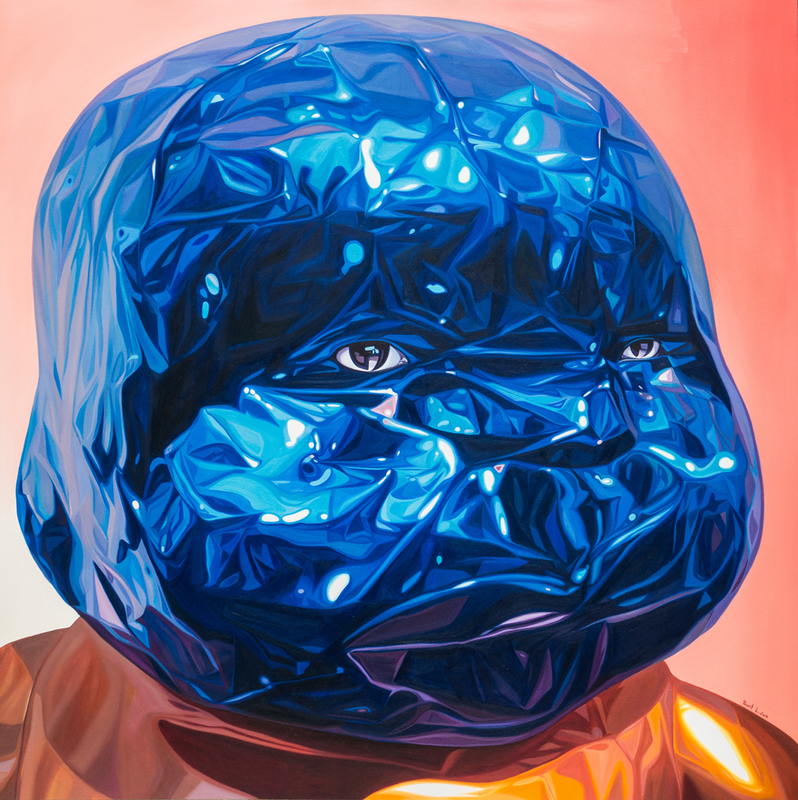 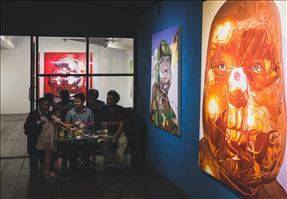 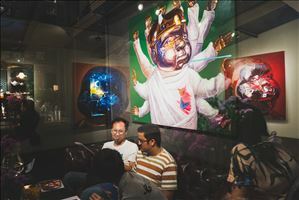 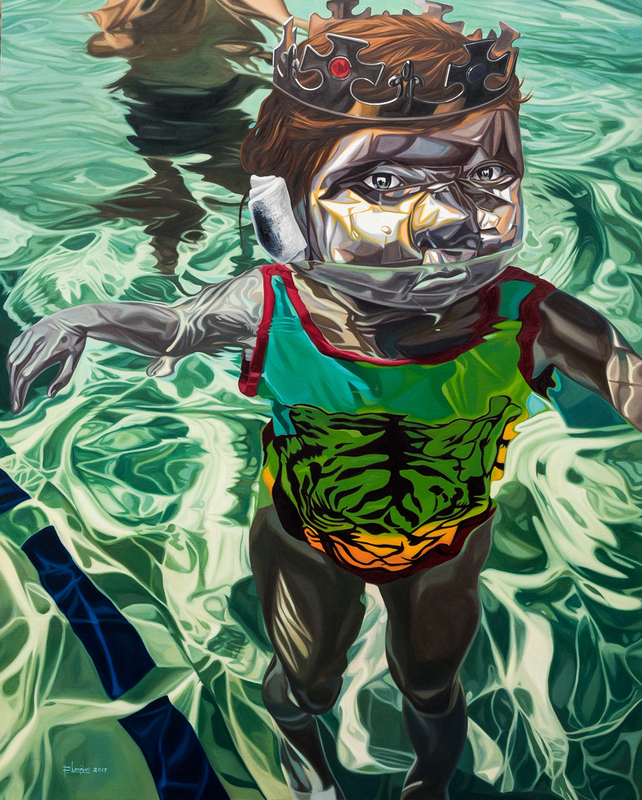 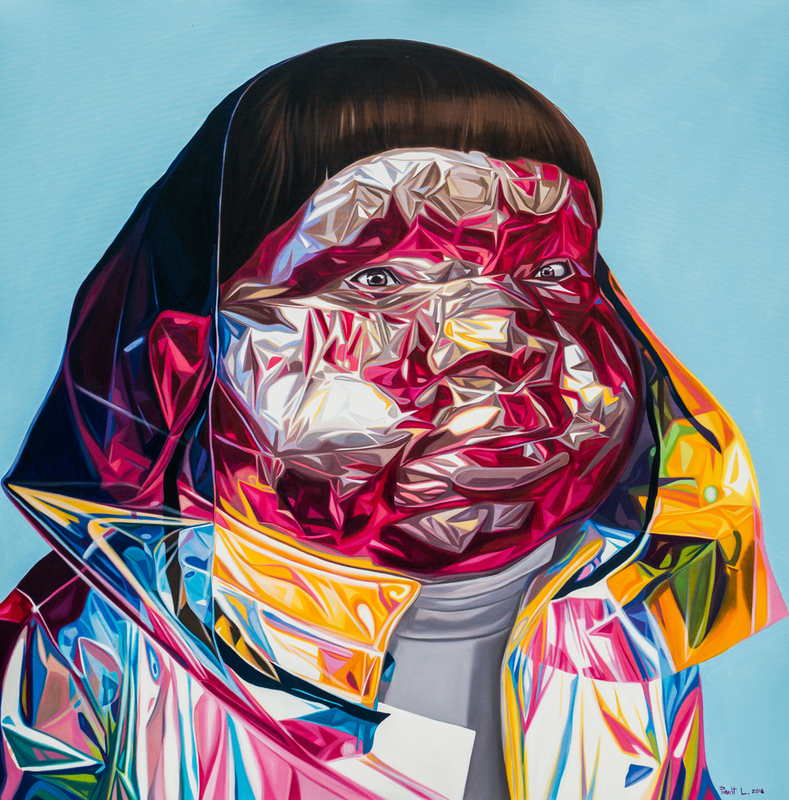 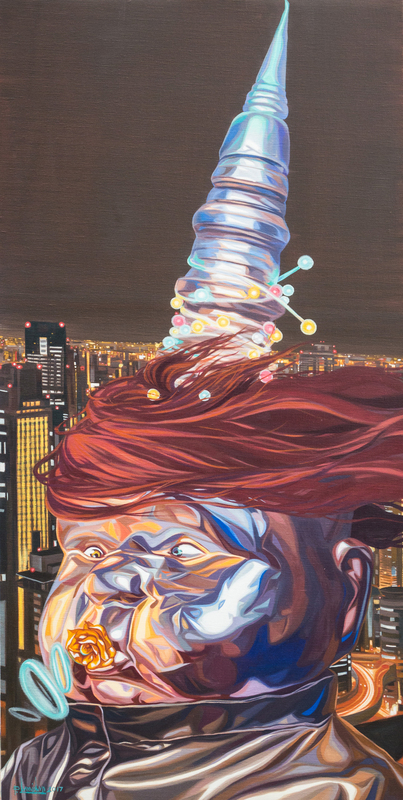 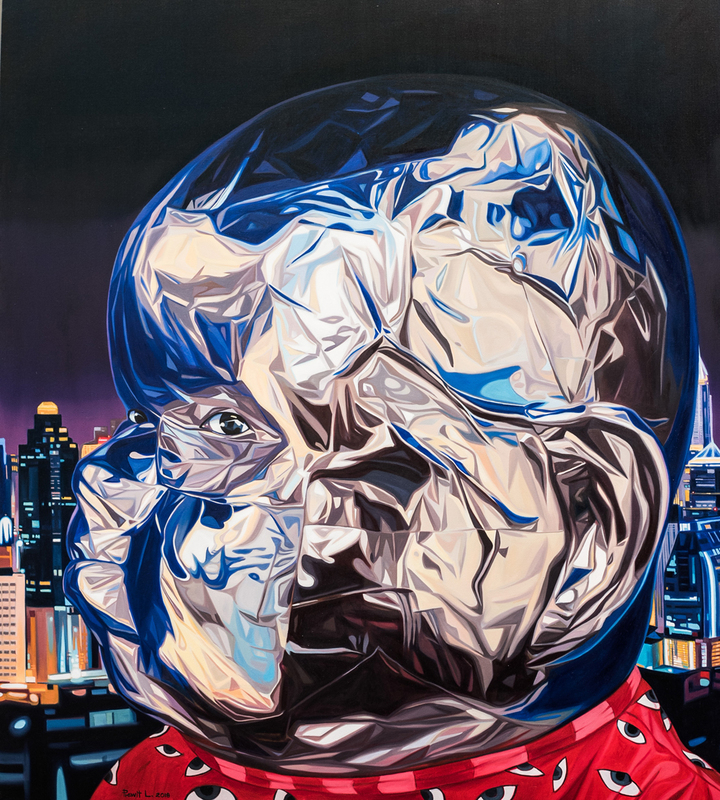 Artist used the technique of portrait paintings with oil color that found his style inspired by the shine of aluminum foil to express about the replacement of technologies. 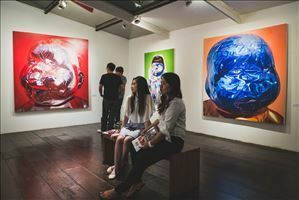 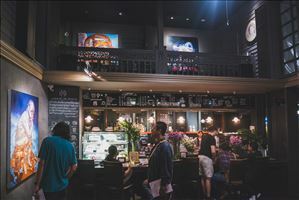 This style of artwork becomes the signature of the artist. 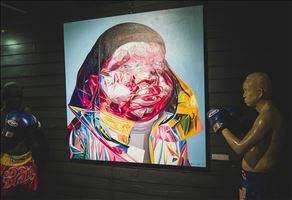 “Sick Boy” this set of artwork is considered to be the solve of the artist himself. 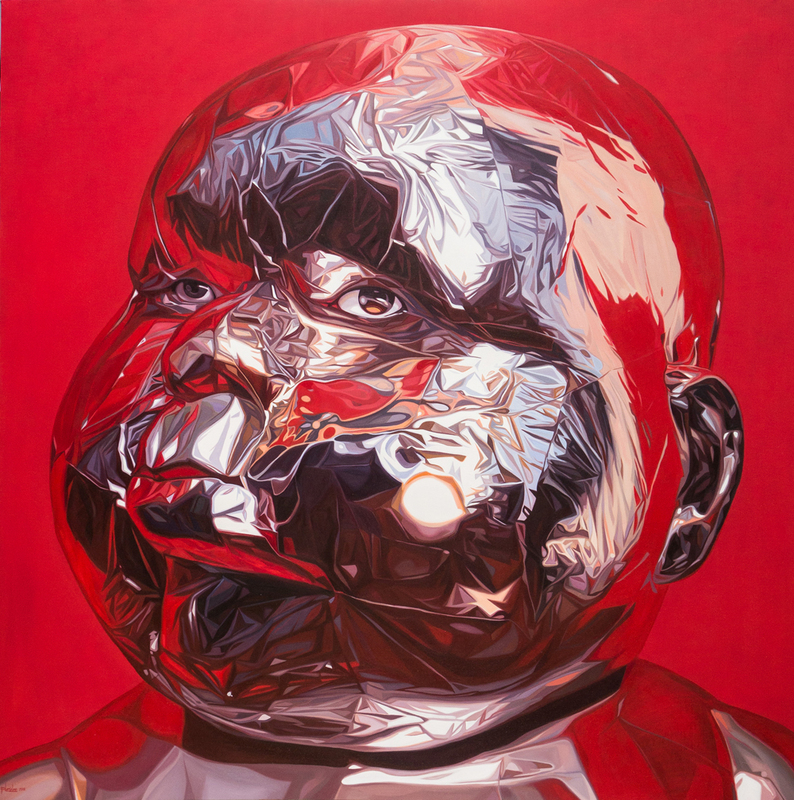 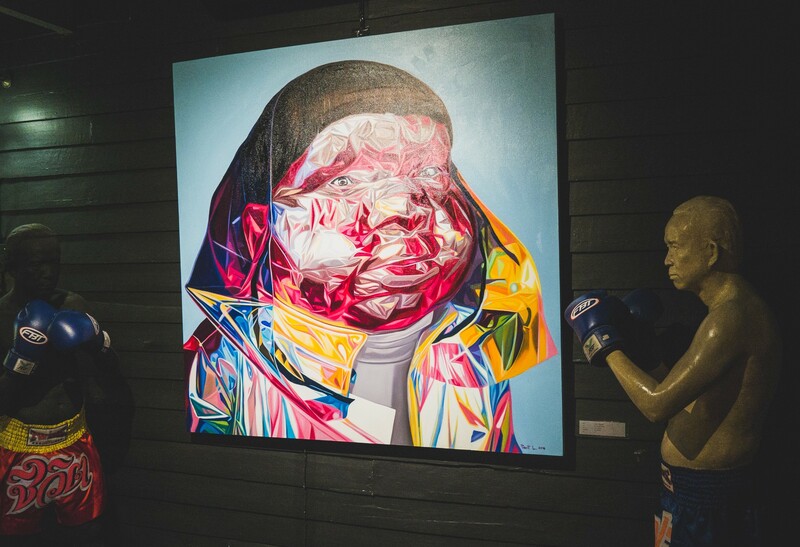 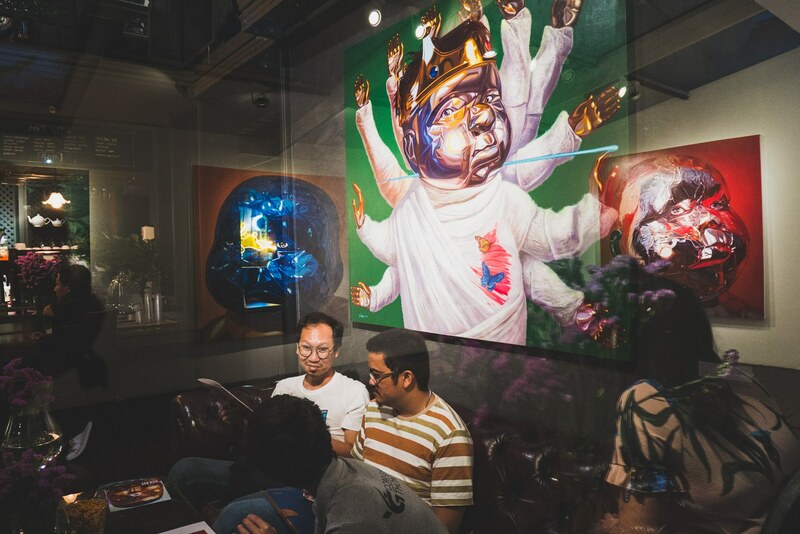 It is quite straight forward by communicating through the emotion of the artist by using the portrait picture of the “Fat boy” to be the symbol of new generation children that were growing with the infinite development of science and technology. Therefore, their daily lives are easier with the new inventions especially life in the city that we can’t denied. 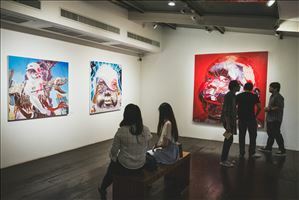 The world of materialism and synthetic color which creates the set of artwork “Sick Boy”. Prawit Lumcharoen was born in Suratthani province, graduated bachelor degree faculty of arts from Rachamangala Rattanakosin University and master degree from Silpakorn University. 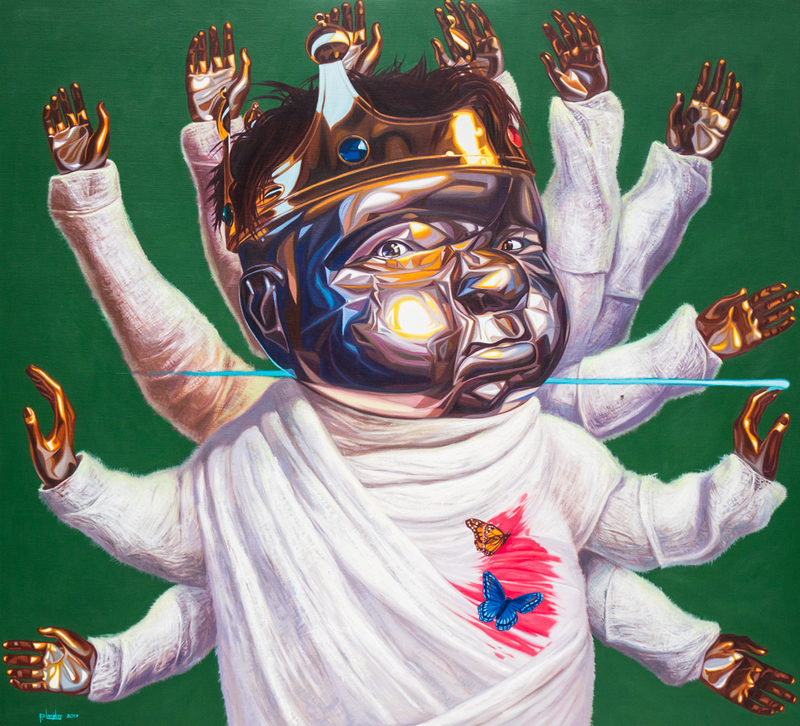 He got awards include Special Prize, 19th Arts by 14-17 Years Old Artists Compliment Prize from ‘Rice and Life’ Poster Design Contest by Thai Rice Foundation, Compliment Prize from 3rd Arts by Southern Young Artists, Top Prize from 5th Arts by Southern Young Artists, Special Prize from 24th Toshiba Art Contest, Second Prize from 15th Panasonic Contemporary Art Contest Fund for Art Creation by General Prem Tinsulanonda Statesman Foundation include international stage at Art Stage Singapore 2018 by Number 1 Gallery.